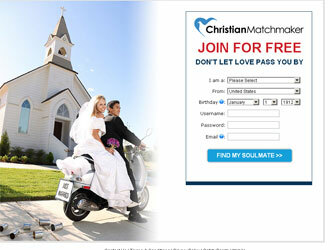 If a person is looking for the perfect match and his or her religious views have very huge importance then the ChristianMatchmaker.com is a place to search. This online dating service is very young, it is online since 2010. In spite of that, it has ten thousand people who have already registered on it. Users can register for free, but they won’t have all the privileges the website can offer. In order to get access to all the features the user has to purchase the premium account which will cost 29.95$ per month. With this type of membership the user will get the access to: chat rooms, instant messaging, advanced searching, free browsing, video profiles, etc.